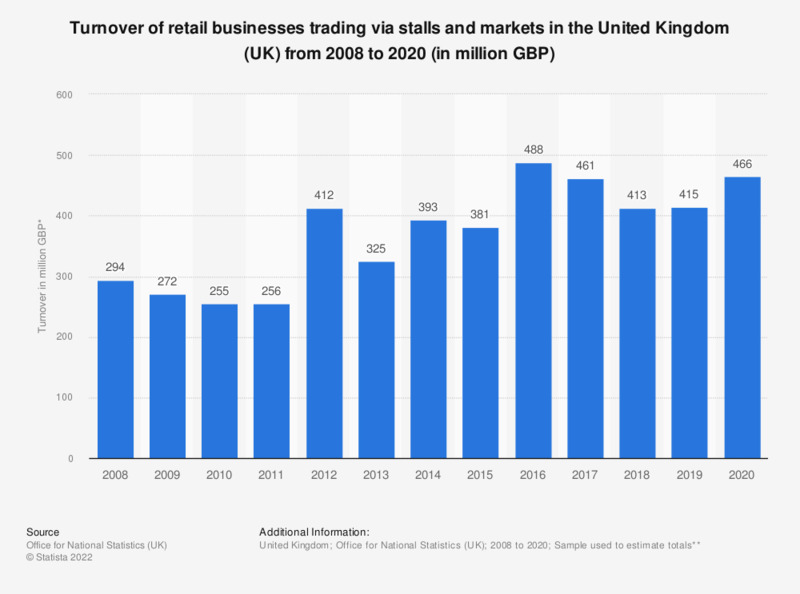 This statistic shows the total annual turnover of retail trade businesses selling via stalls and markets in the United Kingdom from 2008 to 2016. Over the time period observed, the turnover produced by sales from stalls and markets fluctuated greatly. In 2017, turnover reached its highest peak, at 497 million British pounds. This represented an increase of almost 120 million on the previous year.